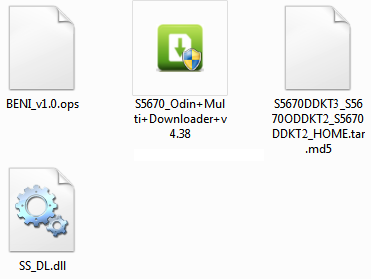 We have come up with another stock mod which is Indian update of 2.3.4 DDKQ7..Further we will show how to update your device with the stable and official firmware of Gingerbread 2.3.4 dubbed as DDKQ7. 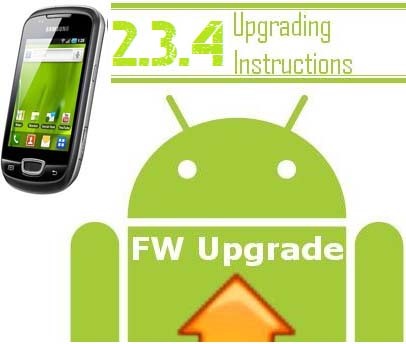 Please note that this firmware update of Gingerbread 2.3.4 is official update for all the users of INDIA region though can be applied by all the users irrespective of the region you are from. Disclaimer: We mobtechzz should not be responsible in any manner if anything happens to your device as which is a very unlikely case if you follow each and every instruction carefully given in this article. Take Backup of your Android phone contacts, your apps and your accounts associated with it. Make sure Your Android device is at least 50% charged so that it can’t get switched off. Make sure that data cable is properly connected. 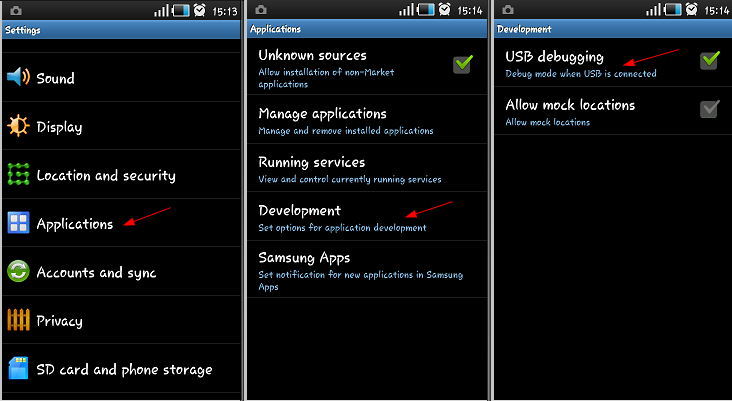 Disable Anti virus and other apps. So, assuming that you have followed all the instructions mentioned above you now need to proceed further for procedure. 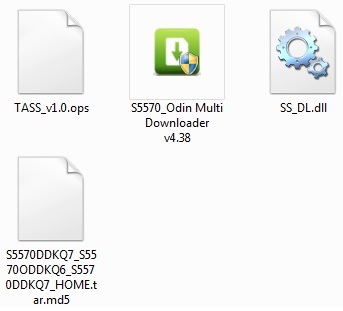 “Settings > Applications >Development > USB debugging "
Step 3: Match the extracted files from the below shown screen capture, even if single file is missing then you need to check with the extraction or download process. Step 4: From extracted files, open Odin executable file and turn Off the phone so as to enter the device in the download mode. 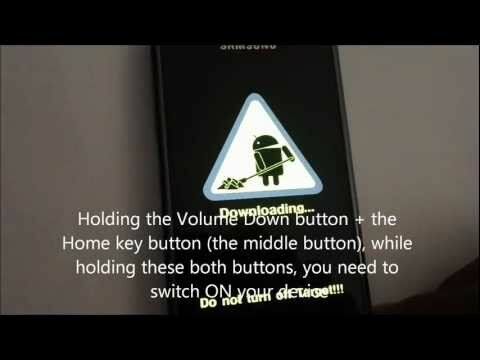 Step 5: Now, you need to enter the by holding the Volume Down button + the Home key button (the middle button). While holding these both buttons, you need to switch ON your device. Just in case if the device boots in the normal mode then you will have to again try the process of entering into the download mode. 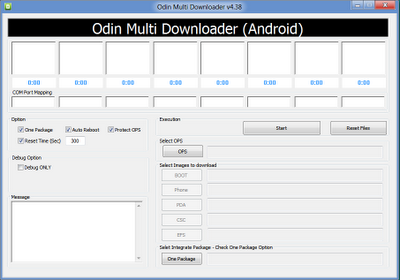 Step 6: After entering the phone in the download mode, connect the device to the computer while keeping the Odin opened. Within a minute, the ID : COM section will turn yellow which will mean that all the drivers have been successfully installed and you are now ready to proceed to the next step. Step 8: Click on Start and then wait for the device to get restarted. Once the device gets restarted, you will be asked to enter the Google Account credentials. Once you see the home screen in your phone, disconnect the connected phone and turn Off the phone so as to enter the phone in the recovery mode. The recovery mode can be entered by holding the Power button + the Home key button (the middle button). While holding these both buttons. 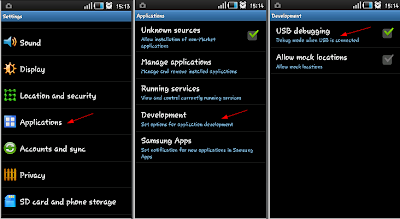 Once you finish the above process, you now need to proceed to select “++++ Go Back ++++” and select the option of “Reboot System Now” for restarting the device. Note: Just in case if you face any issues in the process of firmware update or if the process gets interrupted, you will then have to reapply the whole process of firmware update. Also, don’t forget to restore back the data which you have backed up so that you can easily use all the services like before your phone was in. The updated firmware can be checked from the path of Settings > About Phone > Firmware Version where you will find the version of Android OS where it will show DDKQ7 2.3.4. Also, if you are unable to access the internet after the firmware update then you will have to re configure the APN Settings which can be done from the path Applications > Settings > Wireless and Network > Mobile Networks > Access Point Names. Now, you have successfully updated your Samsung Galaxy MINI S5570 with the latest version of Gingerbread 2.3.4 firmware. Do let us know just in case if you face any issues in the process of updating as we will try our level best to sort out the same.